Bajo Quinto LG-BQ1, Other Plucked Instrument from Lucida. For mariachi-style Bajo players, Lucida offers three Bajo Quinto models designed to deliver the mariachi sound without the the muddiness from the low E-string commonly associated with traditional Bajo Sexto. The Bajo Quintos are built from the same tonewoods as the Lucida Bajo Sexto, and are available in three different configurations. The Lucida Bajo Quintos are available as an acoustic model (LG-BQ1), an acoustic-electric model (LG-BQ1-E) and a thin-body electric (LG-BQ2-E). The EQ models are fitted with a 4-Band EQ pickup, making them the perfect choice for amplified playing. Lucida Bajo Quintos feature solid spruce tops, mahogany backs, sides, and necks, rosewood bridges and fretboards, abalone and fiber rosettes, and 3-ply body binding. 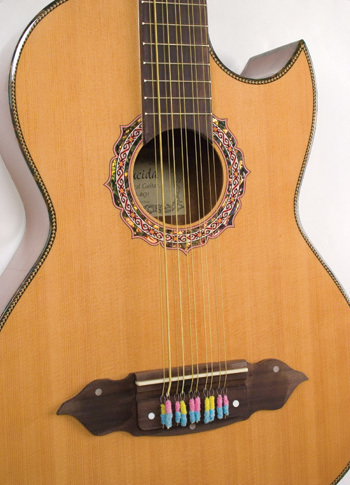 The Bajo Quintos have classic cutaway designs to allow access to the upper frets, and are strung with Mexican Mariachi strings. The Bajo Quintos with 4-band EQ pickups have a street price of $299.99, while the standard Bajo Quinto has a street price of $247.49. All three models are available now. 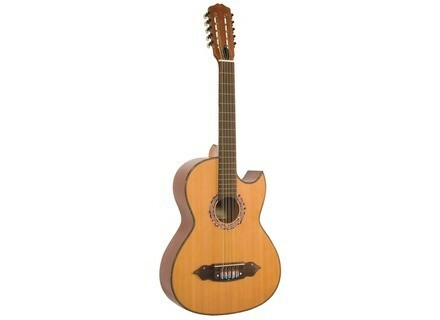 For more information on Lucida products, visit lucidaguitars.com. [Musikmesse] Bhargava Indian Instruments Straight out of Mumbai, India, Bhargava offers a full line of Indian instruments. [Musikmesse] The Kelstone Music Messe Frankfurt: a new instrument will be officially introduced to the audience: The Kelstone.